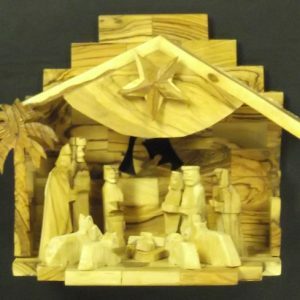 This sculpture is carved out of premium pruned olive wood branches from Bethlehem. The popular contemporary design was created to put the viewer into a contemplative mood. The faceless statues allow people to attach to the sculpture the imagery and feelings that come to mind. The natural swirl and contrast of the olive wood grain is different and unique to every piece. It is a wonderful gift to give or to display at home. 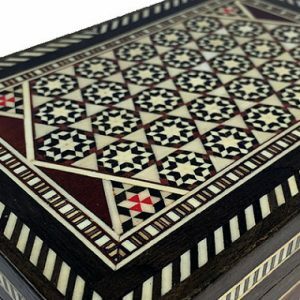 Carved in Bethlehem, using hundreds of years old traditional methods. Measures 8.5 inches high and weighs approximately 9.5 oz.